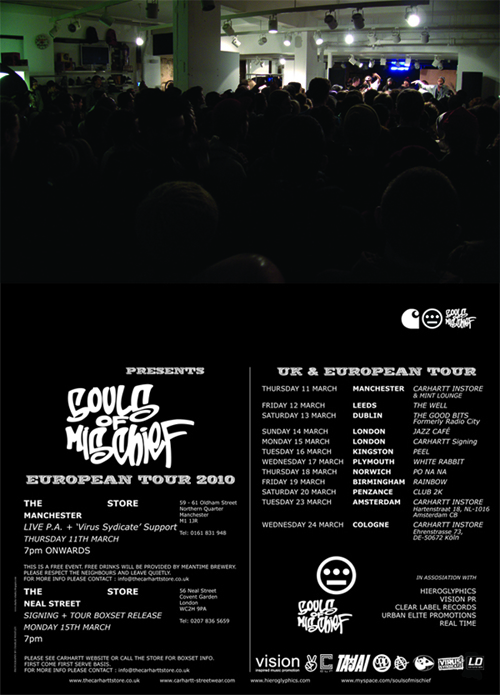 Above are the Souls Of Mischief UK tour dates. Check them out to find out whether S.O.M will be playing in a venue near you. Also note that support for each event will come from local artists to the specific area, i really like this idea and think its a really positive move by S.O.M to be supporting UK music throughout their tour. Tickets for the tour finale in Penzance can be purchased here! Thanks for the great article.